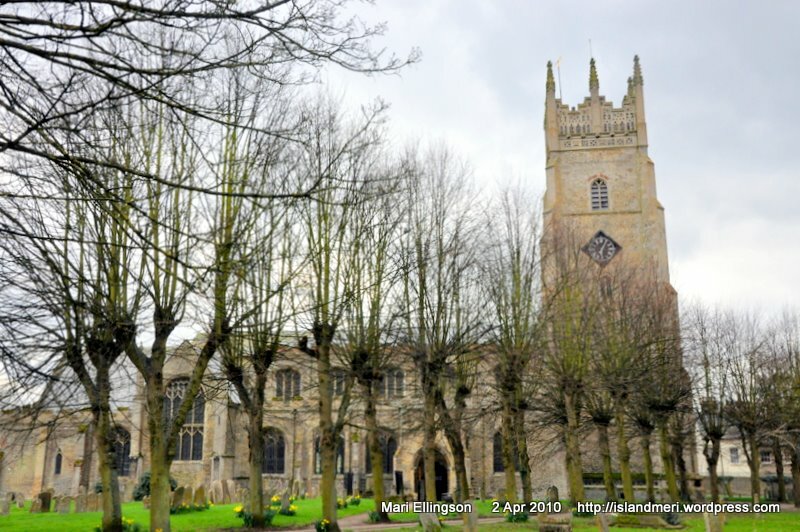 Churches are a common sight throughout the UK. Some are very beautiful and ornate inside. 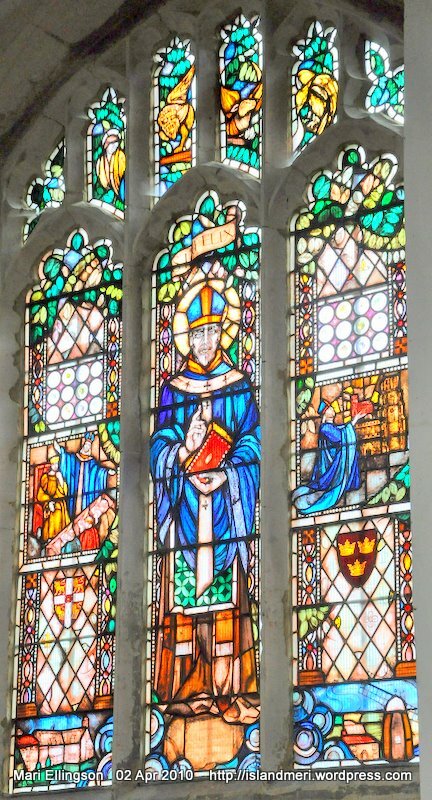 I just love the stained glass windows and internal features of the churches which I’ve had the opportunity to visit. On Good Friday afternoon we arrived at the Church early so we looked around and stopped to pray at the prayer corner. We also met the Vicar of the Church. Then followed the service at 2.00pm that afternoon. Part of the worship programme featured a reading of The Passion. I observed that they were all women except for the Vicar. The congregation read out the soldiers’ parts. I quite enjoyed that. We followed the service book for Good Friday worship – different. There was no sermon as such. 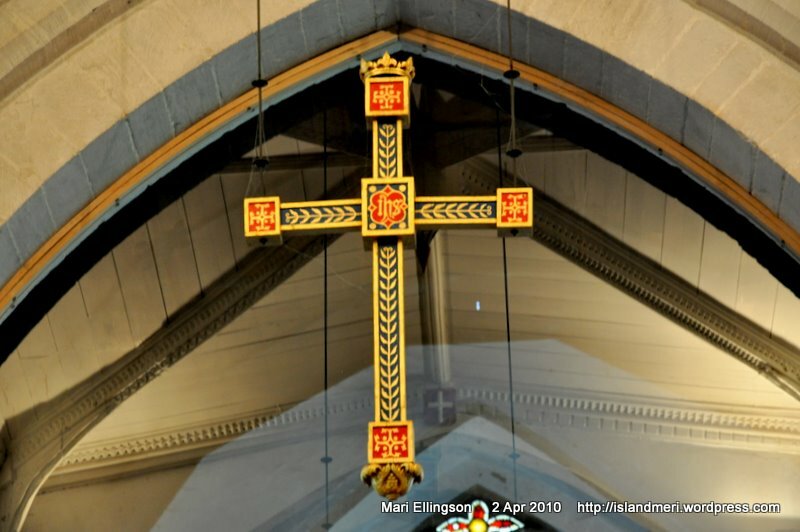 The only downside was that the Church was so cold – I was really uncomfortable but I reflected that my quiet shivering was nothing compared to the message and meaning of Good Friday – that calmed me and put my mind in the right perspective. At the end of the service, we said goodbye to the Vicar and left. 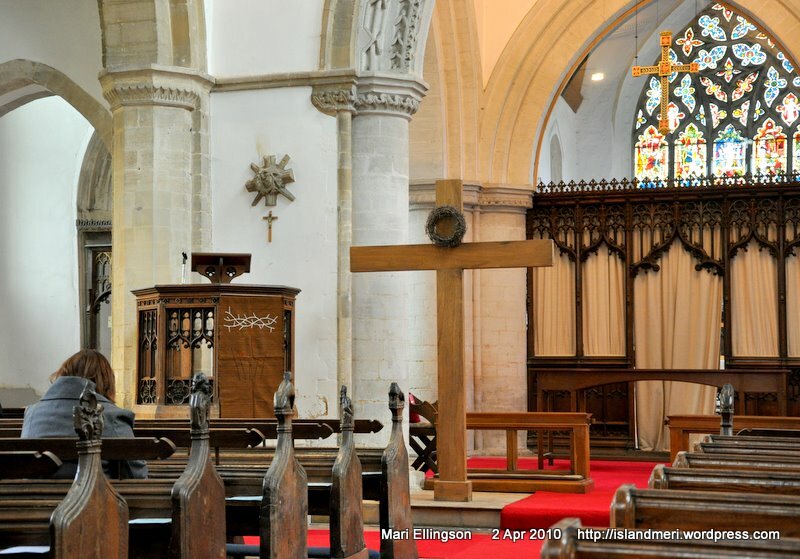 During Good Friday and Easter, I attended services in three churches in Cambridgeshire and St Andrew’s Church in Soham was one of them. 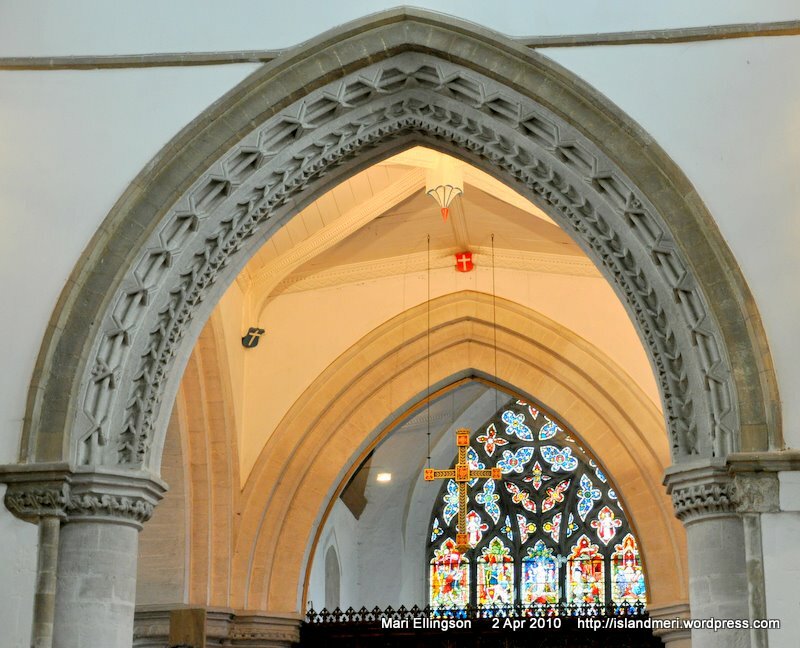 I took some shots of the external and internal features of St Andrew’s Church at Soham which I found simply beautiful architecturally and aesthetically. St Andrew’s Church as we know it now has a very interesting history and may have been the site of so many other religious buildings before it that date back to about 700AD. 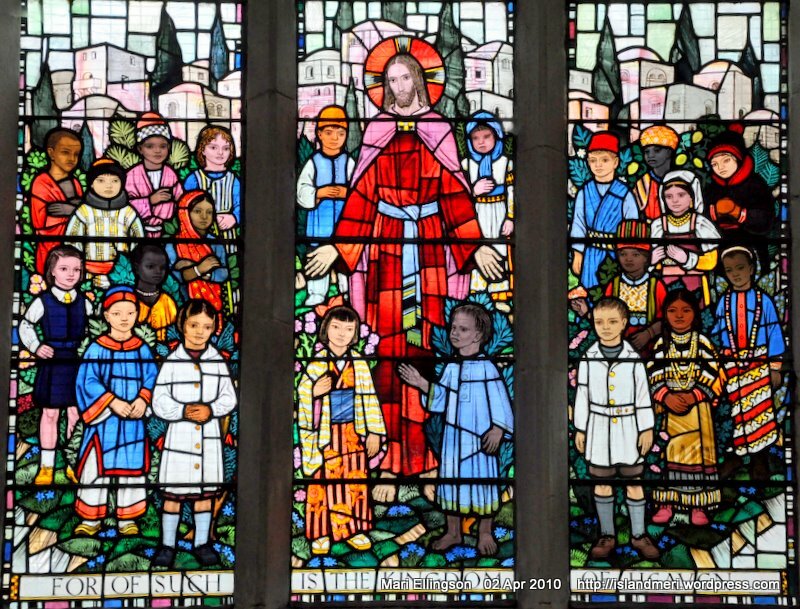 A couple of websites provide the history of the present day church: http://www.britainexpress.com; http://www.sohamandwicken.org.uk; among many others. Walking up to the entrance of the Church. 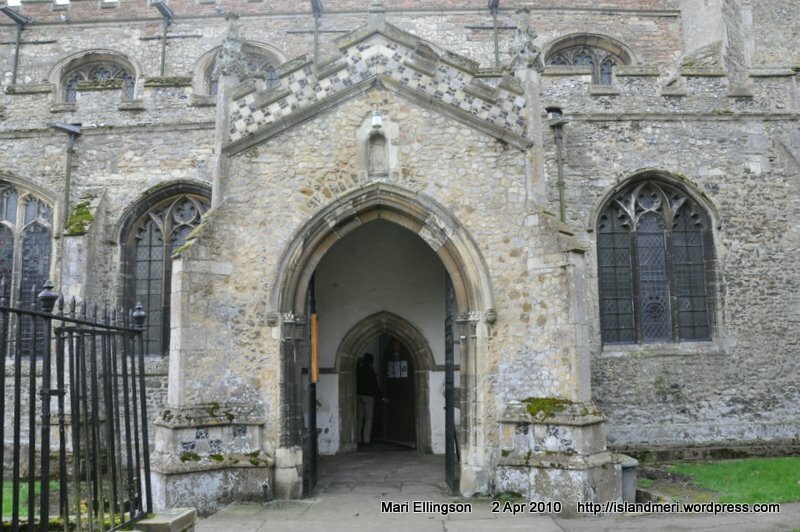 As we got into the car and drove out of the parking lot, I couldn’t help but imagine and in some way felt proud and privileged that I had walked on the grounds of a Church that is of great religious significance in Soham, a place I’ve never even heard of until a couple of hours before the Good Friday service that afternoon. I even had lunch at The Fountain which is still standing was formerly the White Lion in the 17th Century and there was another building on this site in the 16th Century. One of the famous weddings took place in this Church. The wedding of Olaudah Equiano (in an earlier post some days ago) and Susannah Cullen on 7 April, 1792. 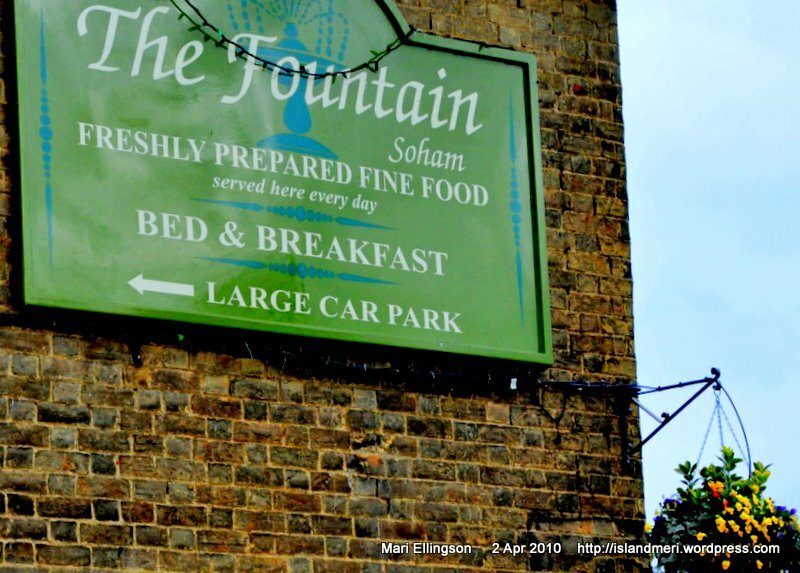 Sites of cultural significance for Soham – the present day Church and The Fountain. 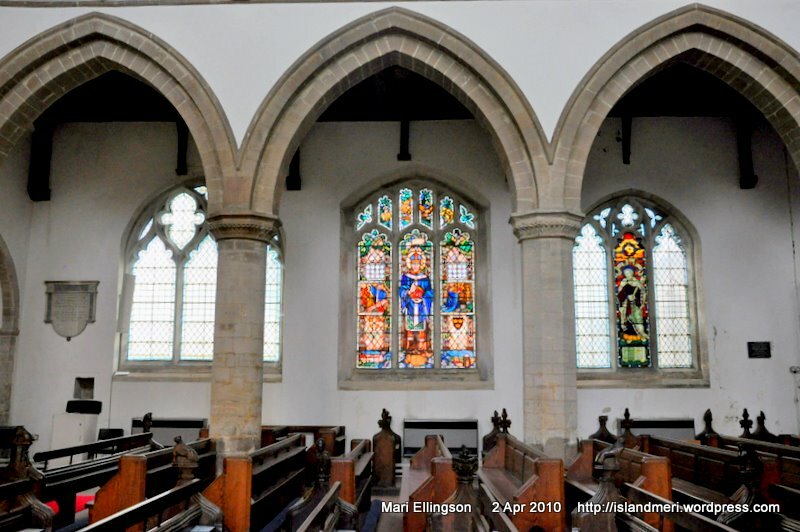 We attended the Good Friday afternoon service at this Church – St Andrew in Soham, Cambridgeshire. We came to this Church because there is a plaque on a wall inside the Church in honour of Olaudah Equiano. His name was changed to Gustavus Vassa, the African. This was a common practice during the slave trade when ‘bought slaves’ were renamed by the ‘slave owner’. A close friend told me about Equiano and his importance to the abolition of the slave trade – a history that is so alien to Papua New Guineans except for a brief record of ‘blackbirding’ in the Pacific for the sugar plantations in Queensland, Australia. I did quite a bit of research to find out more about Equiano who had played a large part in the abolition of the slave trade in the 18th Century. He was a man of many noble pursuits. Equiano was born circa 1745 in a village in Benin, West Africa and in some accounts a part of Nigeria that is now Benin. How he came to Britain was horror itself and his story is just one part in the tapestry of the greatest tragedy and travesty in human history – http://www.black-history-month.co.uk. Equiano, a best-selling author whose autobiography, “The Interesting Narrative of the Life of Olaudah Equiano or Gustavus Vassa, the African” was a seminal piece of work and had been translated into Dutch and German. His autobiography was the strongest written evidence of inhumanity that strengthened the fight against the slave trade. His writing and the support from friends and like-minded society figures helped and underpinned the increasing momentum and urgency that led to the end of the the slave trade in the 19th Century especially in Britain. Equiano was a ‘free man’ having bought his own freedom for £40 from his own savings in 1766. He became one of the most prominent African champions for and involved in the fight for the abolition of the slave trade. He was a prolific writer, activist and humanitarian. 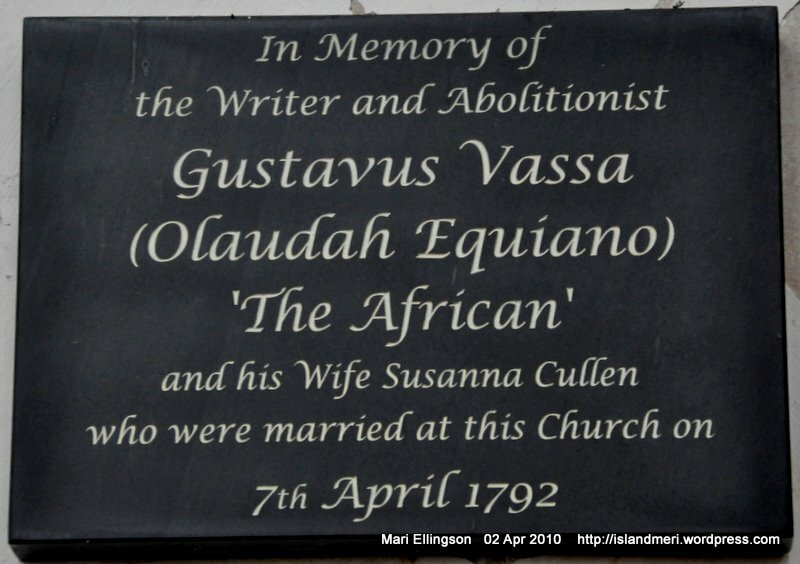 Equiano married Susannah Cullen from Ely in 1792 in St Andrew’s Church, and had two daughters: Joanna Vassa and Anna Maria Vassa who died at the tender age of 4 years. 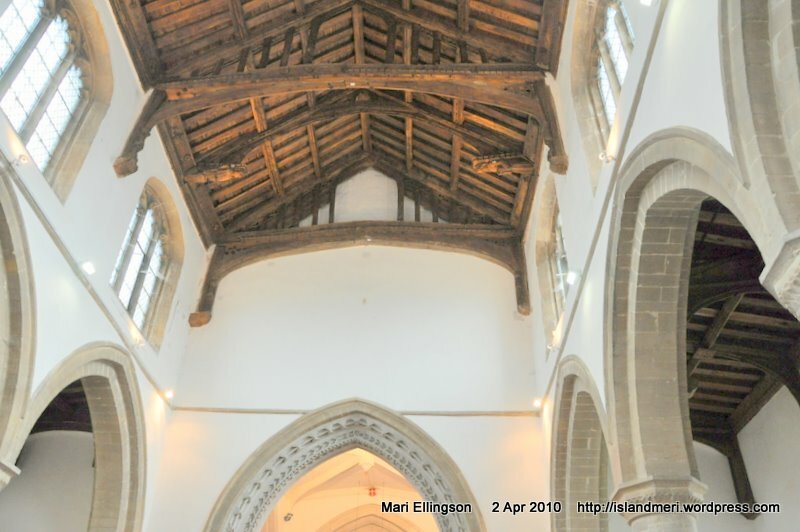 Three years ago on 17 April, 2007, St Andrew’s Church in Soham hosted the re-enactment of Equiano and Susannah’s wedding in its entirerity complete with actors attired in period costumes. On this occasion a plaque was unveiled (as in the photo above) by a leading expert on Equiano and the founder of the Equiano Society, Arthur Torrington, and a book on Joanna Vassa was launched by author Angela Osbourne, “Equiano’s Daughter”. Equiano is listed as one of the 100 Great Black Britons. Some have assumed that Equiano lived and died in Middlesex in 1797. We came to St Andrew not only for the Good Friday afternoon service but to also worship at the church where Equiano may have spent many Sundays. Finding out more about Equiano led me to these sites: http://www.100greatblackbritons..com; http://www.brycchancarey.com; http://www.lhi.org.uk; http://www.soham.org.uk/history; http://www.answers.com/topic/olaudah-equiano, and no doubt there are many more for students of Equiano’s life and times. I am honoured and privileged to have followed Equiano’s footprints to Soham, Cambridgeshire. After the Good Friday service in Cambridge we headed northeast for Soham. 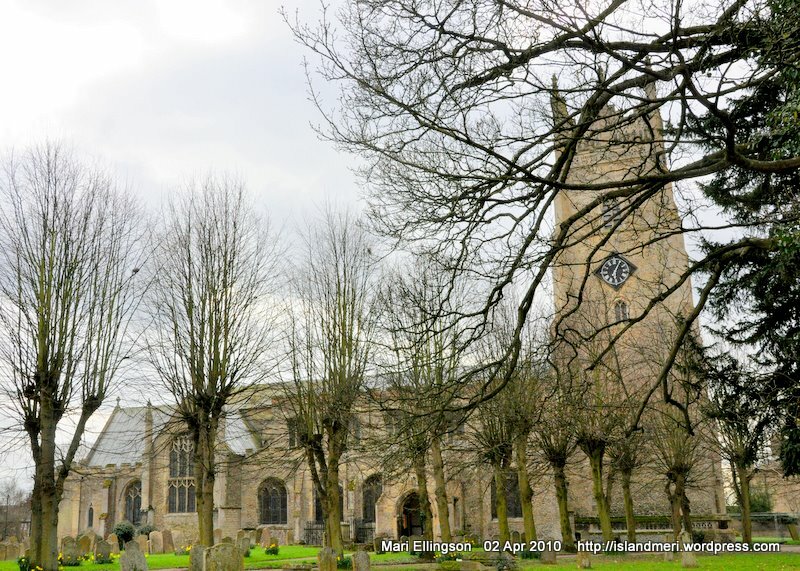 We asked the vicar of Soham about places to have lunch before the service that afternoon. He recommended this pub, The Fountain near St Andrew Church where the afternoon service was to be held. 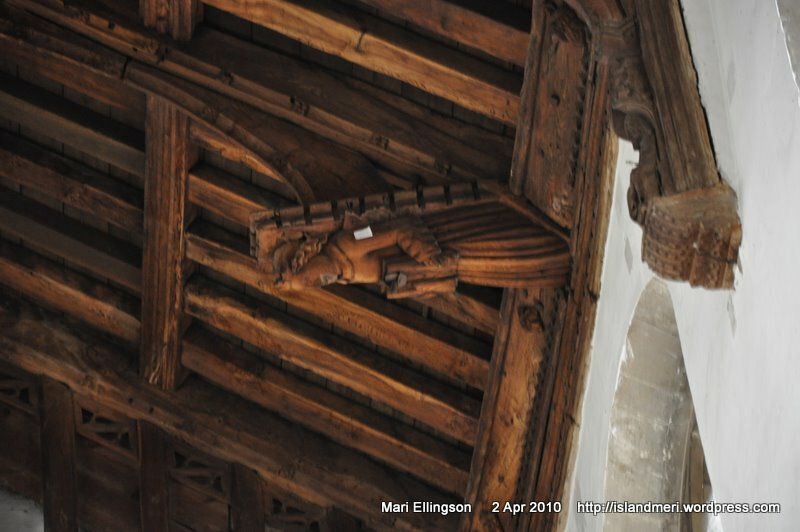 According to the annals of Soham history, The Fountain was called The White Lion about early 17th Century. Then it was renamed The Fountain during the early part of the 19th Century circa 1825 and 1835. Read about its history at http://www.sohamroots.co.uk. We decided to go in an check it. Upon entering the pub we were warmly welcomed and piped music was featuring rock music from a bygone era which was real music to my ears followed later by Bob Marley’s reggae sounds. After lunch we had a little time to kill so we just chatted and enjoyed the music sat at our table. I looked down towards the fireplace and there, was a lovely tender sight before my very eyes! 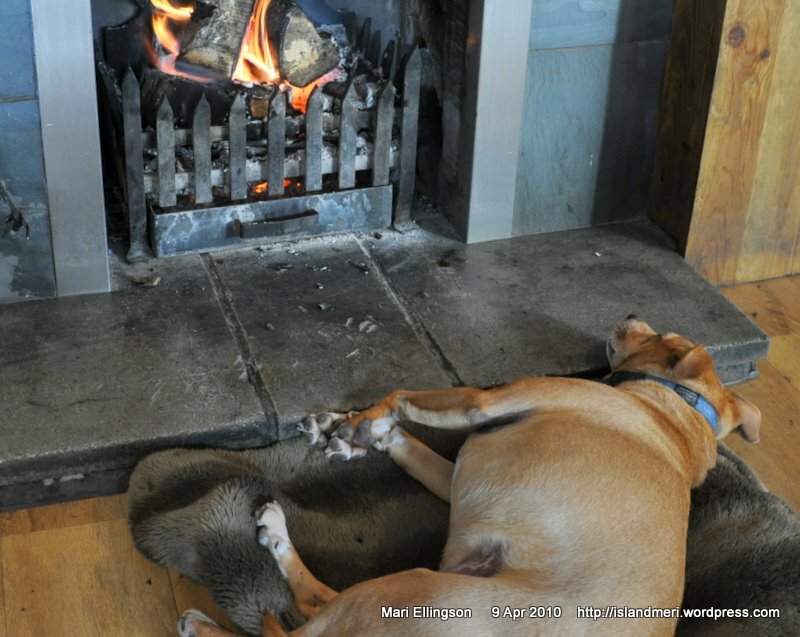 This dog was enjoying the warmth of the woodfire with not a care in the world and why not. I did not ask for the dog’s name but certainly a lesson right there. Easter break is a time for relaxation – whether lying infront of an open logfire with a nice book, listening to a favourite genre of music etc. The picture of luxury right there was not lost on me. Beautiful sight to behold – a doggie Easter break. Last Saturday I had to rush into the city centre in Cambridge to pick up an SD card reader so I could upload my photos onto my computer. I had seen a Jessops the day before which was Good Friday so thought I should look for the shop because they are sure to have a range of card readers (SD etc card readers) – handy gadgets. We had kinda lost our way to St Andrew The Great Church on Good Friday and on the way I spotted the shop. Just as well as we were in a kind of a hurry on Saturday en route to Huntingdon and didn’t want to waste time looking for one little thing – important though. Quickly found the shop and bought the gadget. Anyway, on my way back to the car I almost missed this endearing sight. 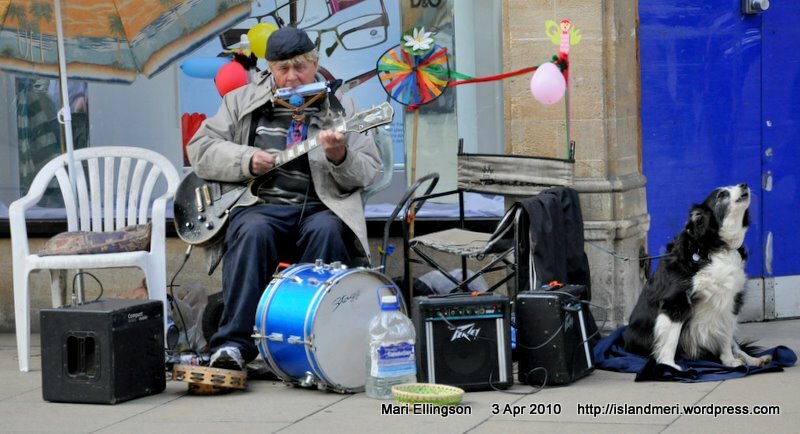 As I stepped into and amongst the jostling Saturday shopping and hanging-out crowd, I noticed that a dog was ‘howling’ like to music. I stopped momentarily steadied my eyes and trained my ears to where the sound was coming from. There lo and behold! 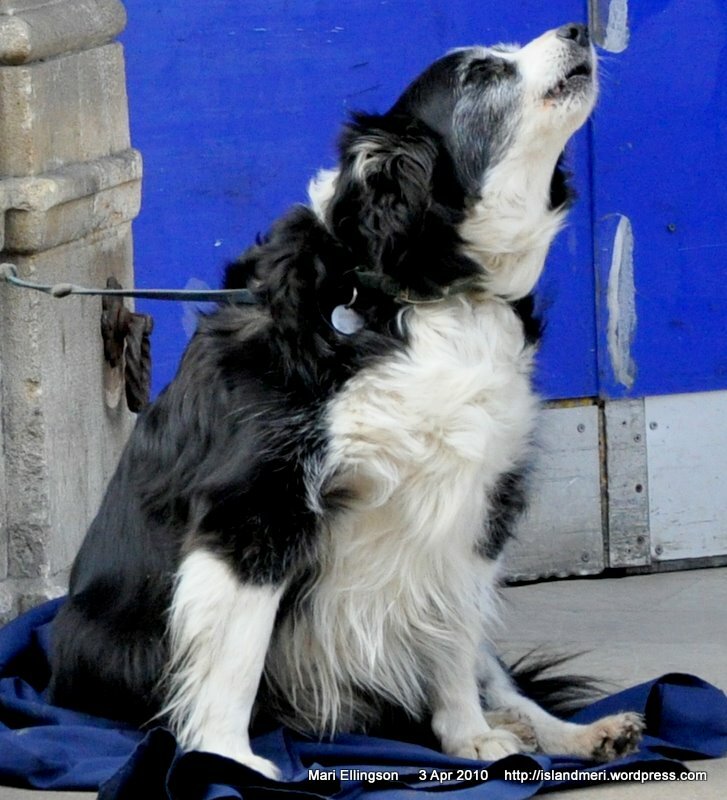 a dog ‘singing’ to the accompaniment of music. I did not ask for his/her name and wish I had as he/she had a personality of his/her own. I could be one hell of an owner of a dog like that. But hey, staying true to myself I don’t think I have the patience to own a pet and secondly, I don’t think I’d give my dog singing lessons. He/She looks like a professional performing for all to hear. There were many a tender smile as they walked by the singing sensation, and I was no exception. What a weekend of lessons from two different dogs – one in Soham and one in Cambridge. This was Easter break in 2010, the doggie way.